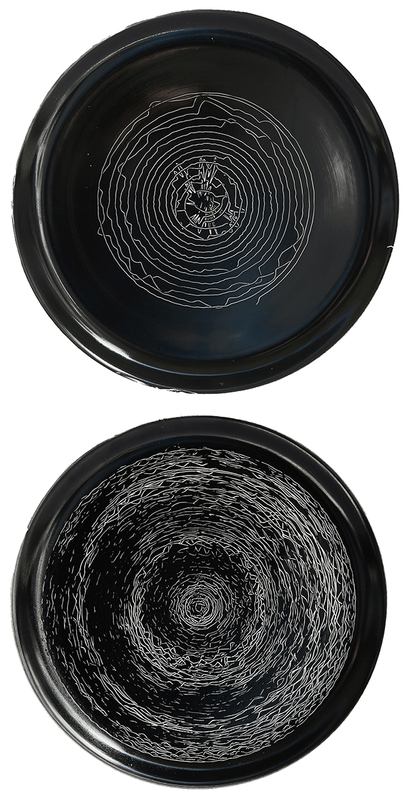 Go to Plate Recorder catalogue! At times of information overload, we are constantly exposed to visual, auditory, and textual inputs. Social networks and news feeds create new expression channels, yet, at the same time, challenge our ability to genuinely hear, see, and touch. 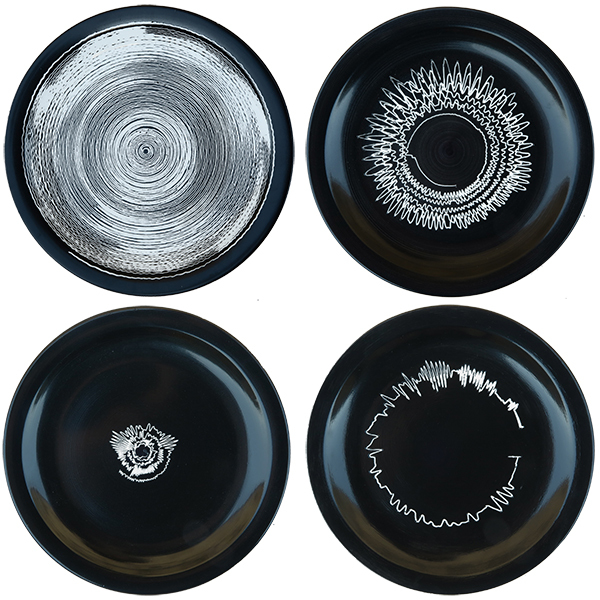 Plate Recorder is a digital era homage to analog, connecting sound, visual and matter in the physical domain. 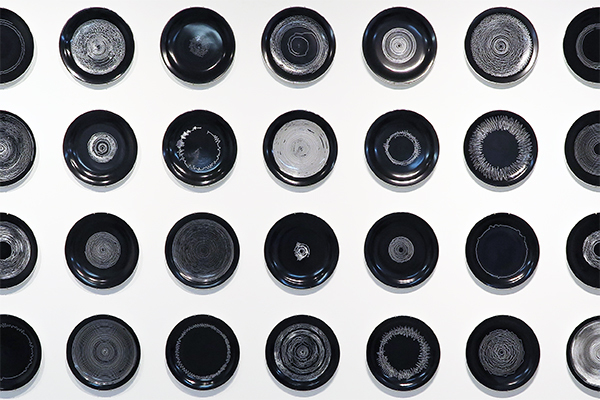 Ready-made ceramic plates are used as a medium for recording sounds. 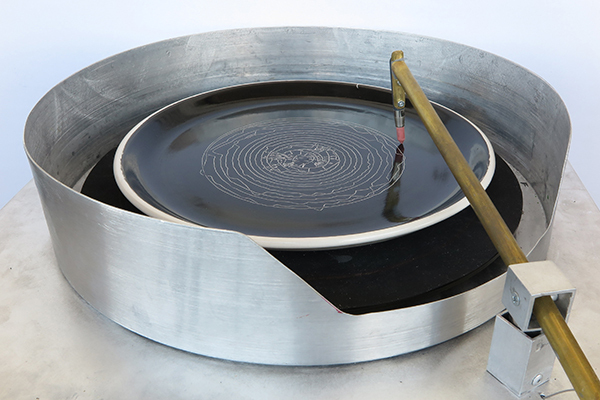 A custom-built painting machine is etching sound waves, creating ‘ceramic plate records’. The sounds have been donated by various sources and people. 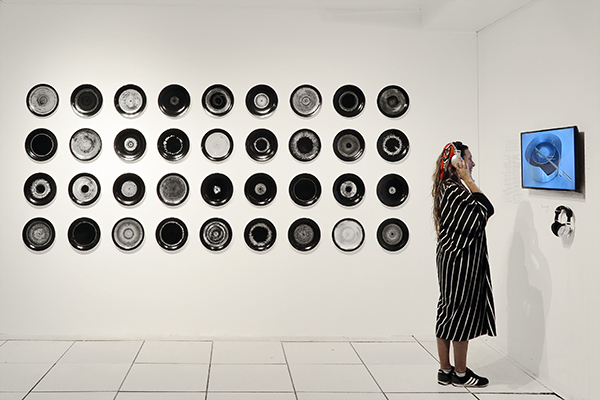 They have then been collected, tagged and categorized by the artists, along with the stories underlying them, into a physical archive of sound and being. 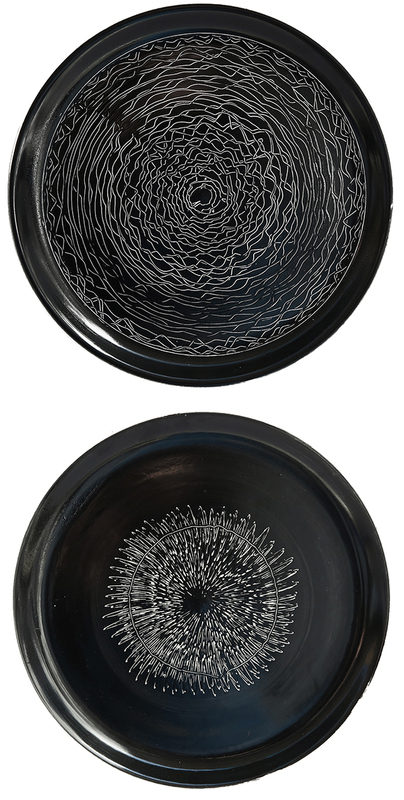 Plate Recorder has recently been exhibited at the Jerusalem Design Week (Hansen House, Jerusalem, June 2018) and at Cluj Ceramics Biennale (Muzeul de Arta Cluj-Napoca, Cluj, October 2017). Live Plate Recording performances were at the center of the opening events of both exhibitions.